You know that there are only two things between you and that close shave: a razor and the best shaving cream. There certainly are other aspects such as the technique and the texture of your beard, but those play second fiddle to the grail of shaving. Taylor of Old Bond Street Sandalwood - This brand from England is in a class of its own, from the sandalwood scent that appeals to most reviewers to the ingredient that makes it smooth and easy to use. It will cost you a pretty penny, but then again you can stretch a tub for six months. Proraso Shaving Cream - This Italian brand, Proraso, has been around for a while (try 100 years). From the first pre-shave cream in 1948, the company has been raising the bar with each release. The undeniable tones in this cream, eucalyptus and menthol are mild but will still linger a while. The Art of Shaving Shaving Cream - The packaging is catchy, and the tub is sizable (5oz). It is expensive (no lie). The dominant scent is sandalwood, although it dissipates after rinsing. Ingredients include essential oils, coconut oil, and glycerin making this product is ideal for dry skin. Jack Black Beard Lube - ​​​​​We attribute this lube’s moisturizing ability to the macadamia nut oil and jojoba. For the scent, the company has used eucalyptus and peppermint in small doses, and you will notice this because the product is relatively scentless. No fragrance or alcohol is used. Billy Jealousy Hydroplane Shaving Cream - ​​​​​Interesting name, no? Well, the packaging is equally interesting and it would be easy to pack for travel. This cream is made in the US for both sexes. It lathers well to help the razor slide effortlessly and to avoid cuts and bumps. This brand smells and feels like lotion. Its lotion-like consistency makes it easy to spread all over your beard and even to lather. The package includes a bowl to make your prep much easier. More about the scent: it is earthy with undertones of sandalwood and faint notes of vanilla. The trick to getting a slick and smooth cream lays in the lathering. You may want to use the accompanying bowl and a brush to get a proper consistency that will feel like a second skin on your beard. When applied, it feels light and airy while all bases. The shave is usually uneventful, regardless of how close you get. The 5oz tub will go as long as six months. Manly scent that dissipates after rinsing. Some people feel the scents are a bit outdated. This green version is for those with normal skin types, but the company has particular ones for sensitive and oily skin types. For the best results, you want to wet your beard before application. Each ingredient plays its role. Eucalyptus purifies the skin and tones it, while menthol cools the skin, healing any potential nicks and cuts. Together, they make an excellent shaving cream as well as a moisturizer, but you will still need to pair it with a moisturizing aftershave. With the eucalyptus and menthol, the other list of ingredients is not alarming. It contains no parabens, no SLS, mineral oils, or silicones. It is safe for daily use, and this small tub will go a long way, especially given its ability to lather easily. The only slight undoing for this product is the inclusion of parfum (fragrance). We don’t know why the company uses it, seeing as the cream already has a pleasant lemon scent from the ingredients. The active ingredients in this shaving cream include glycerin, sandalwood (explains the scent) and coconut oil. These ingredients not only make the cream easy to apply and use on your beard but also quite nourishing to the skin beneath. Because the oils are quite rich, The Art Of Shaving Cream is ideal for people with dry and normal skin as it would clog pores on oily skin. The oil gets absorbed fast enough to prevent the mess that some creams leave. The sandalwood scent is a favorite of many reviewers due to its subtlety. You may be pleased to know that it goes away a few minutes after rinsing and so it will overpower your cologne. The ingredients are skin-type specific. Jojoba and macadamia nut oils are excellent moisturizers while peppermint and eucalyptus invigorate and cool the skin after a shave. When you combine all these oils, you come up with a replacement for pre-shave and in some case, aftershave. Seeing as these organic ingredients are easy for the skin to absorb, the product is ideal for all skin types. This product is clear, and it does not lather like most products. You may be tempted to use too much of it, but that will be unnecessary seeing as a little of it goes a long way. The clear solution will show you the areas of your face that need a closer shave and more attention to leave great results. It is clear-colored so that you can see your shaving progress. The packaging is convenient for travel. It moisturizes and clears spots. You will need to use a straight razor. The ingredients used here including silica and dimethicone prevent those nasty drags that result in bumps after a few hours. The dimethicone provides some sort of shield to guard the skin against razor damage. Other ingredients include fruit oils that moisturize the skin without influencing the scent. The ingredient list does not contain alcohol, parabens, or fragrance. You will realize when using this cream that it is clear as opposed to the expected lathering. It still does a great job, and you can inspect the areas that need a close shave. Some will not appreciate the water-based silicone used. Why is shaving cream even necessary? Well, for a smooth shave, you will need a well-moistened beard and skin. 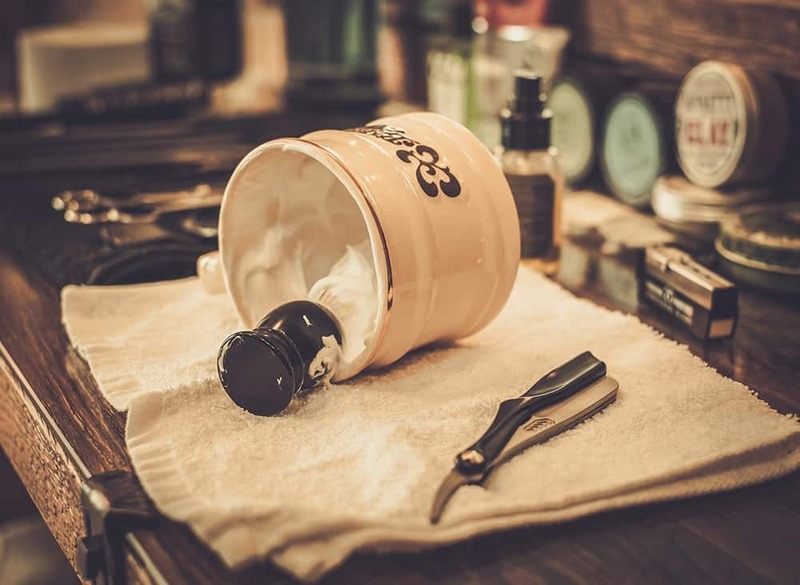 A good cream will lather nicely to prevent any bumps or injury when you shave and to enable the razor to move smoothly. It will also lay the ground for when your facial hair starts growing back. Shaving cream, just like a moisturizer, comes into contact with your skin (almost) every day. This means you have to choose your products carefully, making sure that the constituents are not harmful to your skin. What products are harmful? Fragrance is one of those pesky ingredients that works itself in every product. Almost. However you look at it, fragrance contains thousands of chemicals that skin experts vehemently oppose. The sad reality is that nearly every product in the skin care range will contain fragrance, even some of the organic ones. Parabens are undeniably one of the most harmful additives in skin care. They are popular for their prevention of bacteria, but in return, you expose yourself to asthma and allergies. A few bacteria never killed anyone, no? How will you know a product has parabens in it? Simple. Look out for any word that ends in ‘parabens’ such as Isobutylparaben and Propylparaben among others. ​Most men will either have oily, dry, or sensitive skin. You want to find out your type to avoid using products that could ruin the status quo. 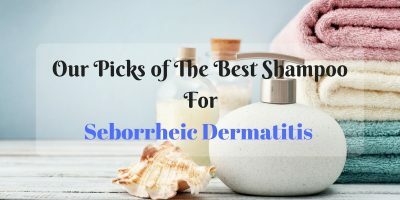 Dry skin will need a bit of moisturizing, and so an oil-based product will work best. Oily skin is hard to care for even before you talk about products. It’s like walking on egg shells plastered all over your face. 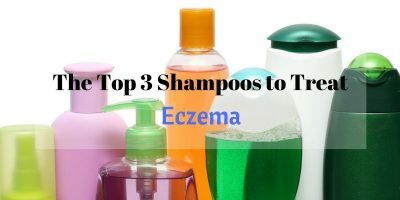 You want to pick a product that will not clog up your skin with even more oil. As for sensitive skin, any astringent will send your skin to the ditches, so you want to read the labels. Luckily, all shaving creams are labeled for their specific skin types. Well, shaving creams target the male consumer who is known to prefer subtle or no scents. Sandalwood takes the day when it comes to the most preferred masculine scents. As long as the product does not compete with your cologne, it will be a good bet. How well does your current cream lather on your face? Does it leave unpleasant nicks after finishing its work? Does it cover your beard well enough and make the shave a smooth and pleasant one? If it does, then you are sorted for until you feel brave enough to try something new. You only need to go to the men’s section of any store to see the variety of shaving creams available on the market. We admit that this list does not even scratch the surface, but we only chose what works for us (and thousands of reviewers). Our favorite is T﻿﻿aylor of Old Bond Stree﻿﻿t Sandalwood for simple reasons: manly scent, superior ingredients, and the fact that it caters to all skin types. The price will pinch just a little, but then you cannot put a price on a great product, no? End the process with a high-quality moisturizing aftershave. Enjoy your smooth skin and hit us up on the comment section. Also, sharing is caring!